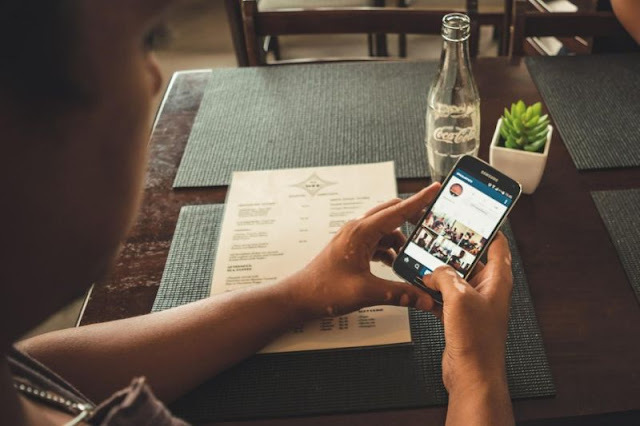 With each subsequent update, the photo editing offered by Instagram has become more complex, and more refined. Where once all you could do was slap a filter overlay onto an image to make it look a bit more glossy/dynamic/stupid, now there's a litany of different editing parameters, so many that it can sometimes be hard to know where to begin. Instagram isn't an app that you sit down and use for half-an-hour, it's a 2 minute scroll or 5 minute take-edit-tag-upload affair, but sometimes you need a little bit more time. Have you ever gotten halfway through prepping an action shot of your dog catching a stick with an ocean sunset in the background, trying to get the contrast just right, when suddenly you had to stop to save your dog from drowning? If you're using Instagram, there are likely other things going on around you, things which may require you to stop, and potentially lose all that work. With the latest update, users are met with a message asking if they want to 'Save Draft' or 'Discard' when they leave editing mode. The drafts live in a new section alongside your photo library and shooting mode when you touch the camera button. Select one and you can pick right up where you left off. Changed your mind about a filter? Remove it. Want a bit less warmth? The slider is exactly where you left it. 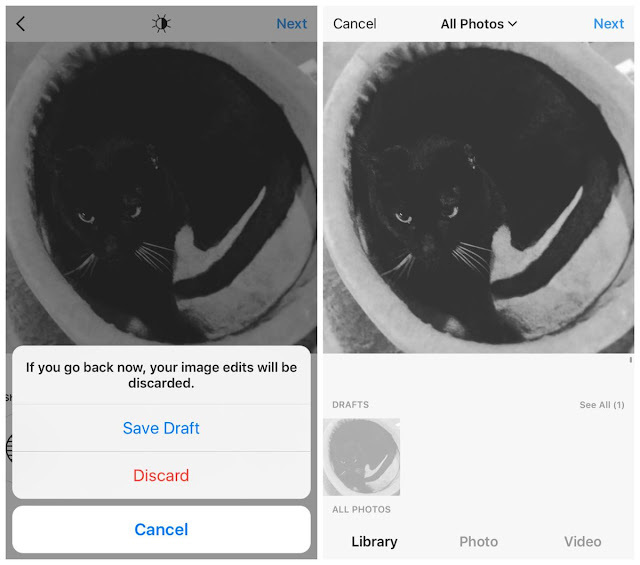 You have to have at least tweaked an image if you want to save it as a draft, unedited images won't save, so if you've just taken it and want it in drafts it's just a matter of sticking a filter on it, you can always take it off later. This way, you can return to an image when you have more time and really think about how you want to present it. Some Instagram users will upload dozens of images on a daily basis, but Instagram themselves seem to be encouraging a more measured approach, as evidenced by the fact that they removed chronological timelines in favour of a kind of popularity/algorithm-based system. It wants you to be able to see everything, not just huge clumps of content uploaded by one overzealous user. The best Instagram posts are the well shot, well edited ones which almost look like they belong in a magazine. One imagines that the drafting option will further encourage that meticulous approach.